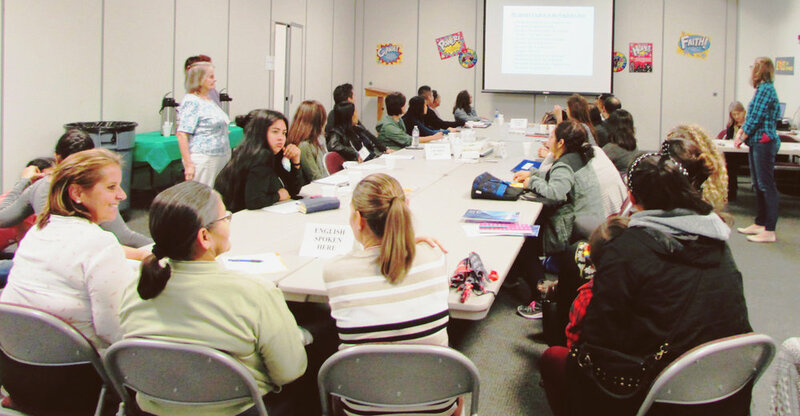 Since 2012, Swift Creek has offered free English as a Second Language classes to the community. Six years later, this thriving ministry has the opportunity each week to present the gospel to 44 students from 18 different countries who speak 10 different languages. ESL Ministry Leader David Peat, Sr. has been a part of the ministry since the beginning. “It’s one of those things I feel I can do where I am accomplishing something great.” He says in the past six years lives have been changed and relationships have been built that he could have never imagined. Mr. Peat has many stories of lives that have been changed in ESL. He shared personal stories of relationships built and events he and his wife June were able to be a part of because of the people they met through these classes. “We traveled to Central Park in New York City to attend the wedding of two of our Brazilian students. We were included in the family pictures,” he recalls. One of his favorite memories involved his very first student, Juana. She attended ESL because of a court order that said she needed to learn English to have custody of her niece. She and the mother were battling for custody, but the mother was unfit to care for the child. Both women were ordered to take ESL classes, and that’s when Juana showed up at Swift Creek. Dave and June worked with her on many things, but emphasized words and conversations they thought she might have with the judge when she went back to court. When Juana’s trial came, Dave and June went to the court with her and listened as she answered questions in English. The mother of the child was unable to answer her questions without a translator, and the judge was very impressed with the work Juana had done. Three months later, Juana received full custody of the girl! Praise God! Beyond the lessons, lives have been changed through the relationships built at ESL. One student learned everything she needed to become a US citizen (which Dave and June were able to attend as she was sworn in), a few have gotten married after meeting at ESL, students have benefited in their jobs, Swift Creek has a few new church attenders because of the relationships built, and a couple students’ lives were changed by the gospel because of one of their ESL classes! Four different leveled courses are taught on Thursday nights with free childcare. A typical evening includes one chapter of the text book (printed by a Christian company and taught through the lens of the gospel), but many times conversations are formed which are more important than getting through the lesson for the day. In the end, David says, “there’s a big difference between making yourself understood and conversing well.” The goal is for students to come away not only with a basic understanding of English, but the ability to hold conversations comfortably.